Pasta, pasta, PASTA! I couldn’t live without this Italian staple and the countless ways it can be served up! I decided to serve you up with a little pasta refresher course! As in, what’s the difference between penne, fusilli, and rigatoni?! Have a clue? If your a pasta aficionado you may know, but for the rest of us…here’s everything you need to know about the different types of pastas being served world wide! Chances are you’ve heard of a stuffed cannelloni. It’s one the most popular dishes on an Italian menu. The noodle itself is called “cannelloni.” It’s a flat pasta that typically gets rolled into tubes, stuffed with various meats and cheeses, topped with sauce, cheese, and gets baked! Farfalle pasta is better known as “bow-tie” pasta, and the name is very fitting. Mini bow-ties made from pasta dough. Great for holding sauces and the king of pasta salads! Serve it hot or cold, it’s great! Probably one of the more renown pastas, the fettuccine noodle is long, flat, and is great for thinner sauces! 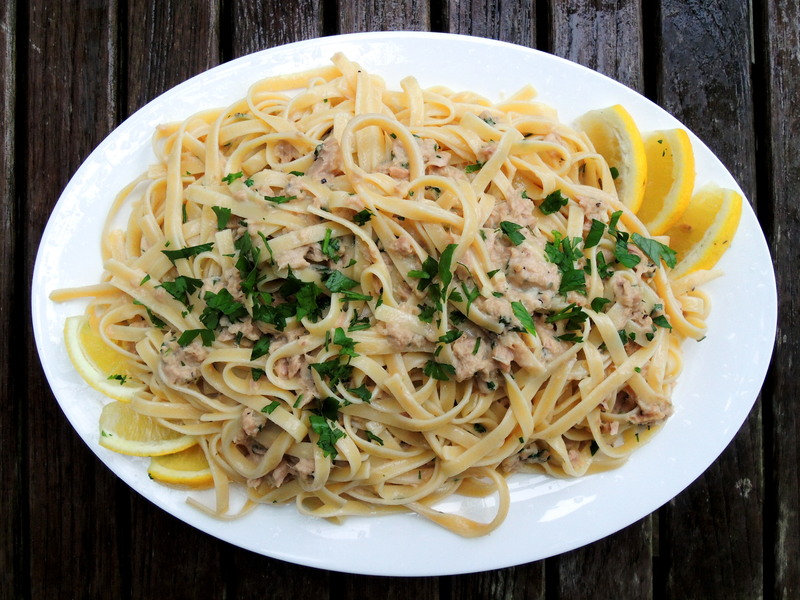 Best known for being served Alfredo-style, this is also excellent with a little butter and lemon. DELICIOUS! This spiral of a noodle was first introduced to me in veggie form. It was tri-colored (beige, green, red) and is still one of my favorite types of fusilli! Whichever way you like it served, the spirals are great for holding thick sauces and ensure that you get an even sauce to pasta ratio in every bite! Linguine can be bought dry, or fresh and it’s very similar to the spaghetti noodle, only it’s less rounded and more flat. Best known for being paired with seafood. Penne vodka is definitely a favorite of mine! It’s a creamy tomato and vodka based sauce that finds it’s way into the center of each and every piece of penne pasta it comes in contact with! Penne is a small tube like noodle that is best served a bit al dente and is ideal for sopping up every last drop of sauce! Probably one of the biggest crowd pleasers—and great in pasta salad. A larger and thicker version of the penne is rigatoni. It comes with with long grooves around the outer skin that are perfect for scooping up sauce—in addition to the large tubes that hold sauce like no other! It’s a very hearty noodle that is perfect for baked dishes, like casseroles. Shells come in a variety of sizes. The smaller versions are great or for thinner sauces, as they scoop up and retain liquid quite well. The larger ones are great stuffed with mixed cheese and fresh herbs. Ideal for baking as they can stand up to the heat and heavy fillings. The hands down most popular pasta is SPAGHETTI! It’s the star of Disney’s Lady and the Tramp and by far the biggest crowd pleaser. Whether or not you’ve experienced the pure ecstasy of spaghetti and meat balls, you’re well acquainted with the long, round, uniform noodles. Served 101+ ways, this is the ideal pasta for keeping around the house when the carb cravings begin! VERY versatile. Last, but not least, the Tortellini. Small pasta dumplings that are typically stuffed with meat or cheese and formed into small “U” shapes. The rich fillings are perfectly paired with a mild sauce as the tortellini should always be star of the show! Why Are Potatoes So Addictive? I read about your life modelling in the Mail on Sunday today. It seems like everyone got a great deal out of taking part. Sounds like something it would be great to try! Do you hold events like that relugarly?